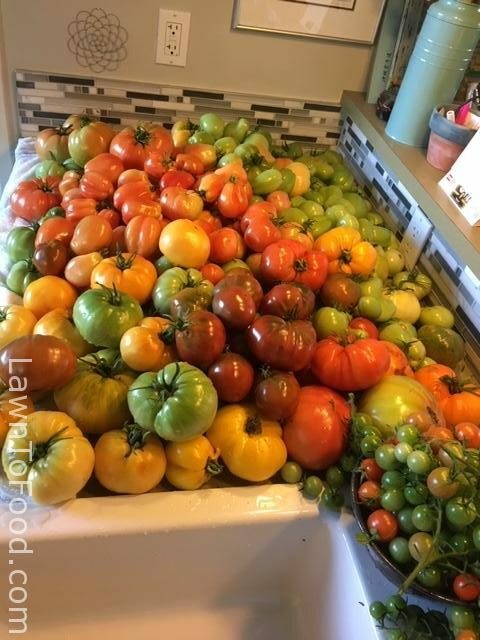 Do you remember those hot summer days that we spent preserving our garden produce? Now (winter) is the time to reap the rewards of our labour!! Last night I served up a curry-in-a-hurry by using a pint of sauce that I made in September, with my abundance of ripe yellow tomatoes. The yellow tomatoes have delightful tang, and acidity, which really added spark to this curry. I also used onions and garlic from our garden, with the addition of spices such as turmeric, garam marsala, cumin, coriander, paprika, cayenne, curry, salt and pepper. 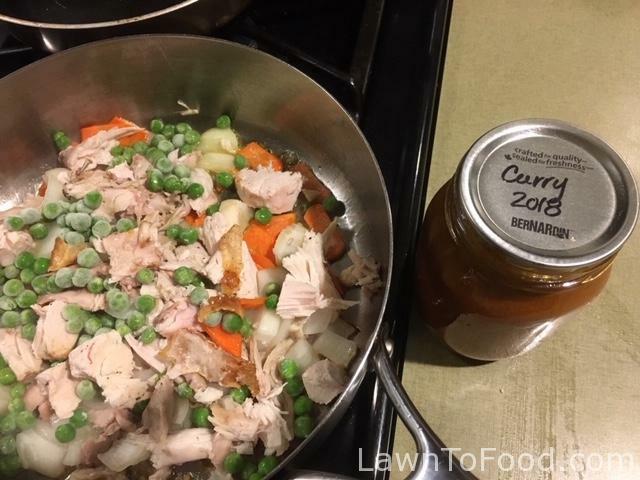 After sautéing a chopped onion, one carrot, frozen peas and about a cup of cooked chicken, I added the pint of homemade curry sauce. Once it all simmered for a few minutes, I added one can of organic coconut milk. I finished the dish by adding a small handful of our dehydrated Italian prune plums for sweetness and about four large leaves of Swiss chard (chopped) that were frozen solid in our frontyard garden. 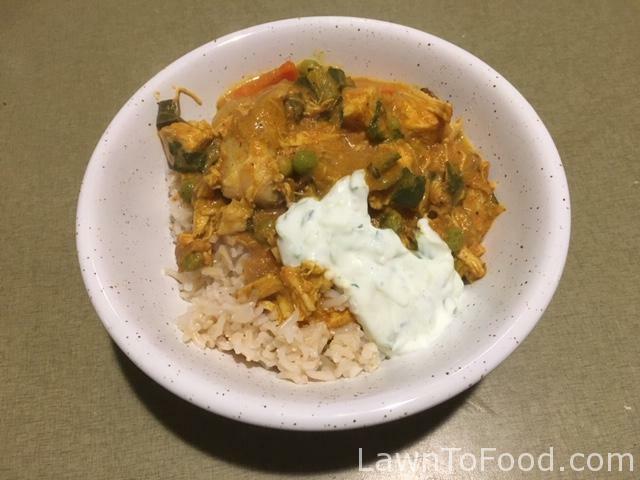 I served the chicken curry (butter chicken) with brown rice and a cooling riata made with greek yogurt, grated cucumber and few green onions that are growing on my window sill. What are you using from your pantry on these cold winter days?